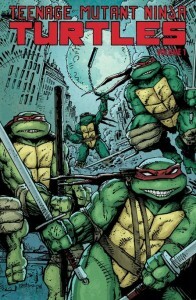 The Teenage Mutant Ninja Turtles return to comics in their first IDW adventure! It”s a different world for the Turtles. The group is broken as Raphael wanders the streets of NYC in search of food and shelter. His brothers and Master Splinter are on the search, but so far all they can find is trouble – in the form of mutant alley cat Old Hob and his gang of criminals! The very core of the Turtles family is at stake as the new origin of TMNT is revealed! 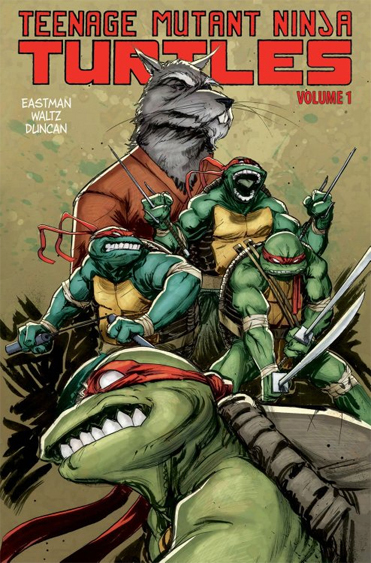 Join Tom Waltz, Dan Duncan, and TMNT co-creator Kevin Eastman for the start of a wild ride! Collects first four issues of the IDW series.